Running Press Adult, 9780762493609, 128pp. Finally! The pain of parenting . . . in poetic form! 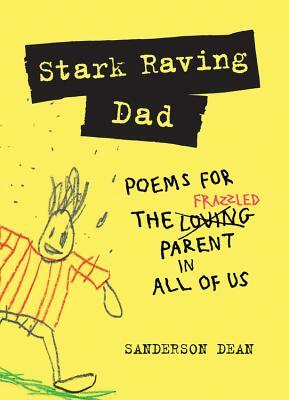 Stark Raving Dad is an illustrated collection of poems (no claims of being Walt Whitman here) that humorously captures fatherly angst in comedic verse and pairs it with "talented" art from the author's own kids. Let's be honest: Most gifts for Dad usually end up being a golf club or a tie. But what about the Dad in desperate need of a laugh? Give him reassurance he's not the only father trying to figure it all out. Over the years Sanderson Dean has turned all his fatherly angst into poetry, accompanied by crudely drawn images by his children. But before your eyes glaze over at the word "poetry," you should know it's more hapless than highbrow. From surviving road trips to being puked on, and from plunging clogged toilets to finding Craisins in the couch cushions, Sanderson covers many of the rarely talked about adventures that make the journey of parenthood so very exciting.